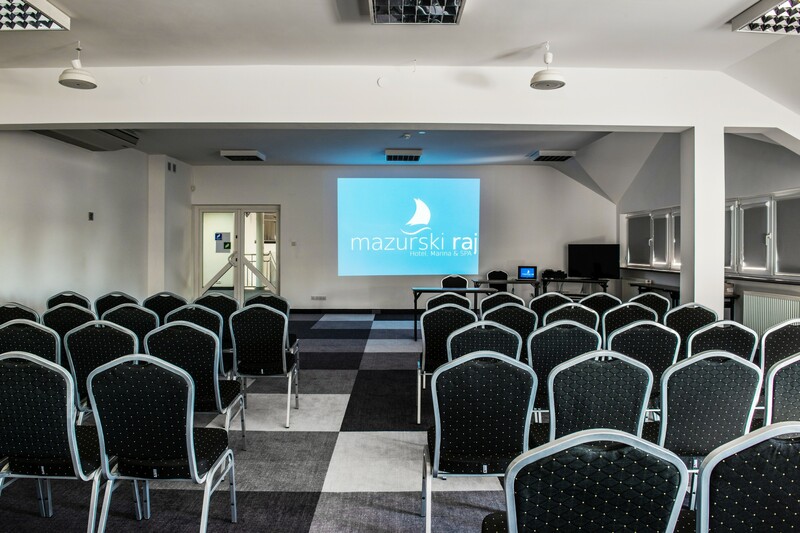 The Mazurski Raj Hotel offers a few conference hall of various sizes and arrangements. The Pine Hall will be perfect for standard trainings and scientific conventions. Depending on the seating style, there can be from 50 up to 100 seating places available. Our greatest care is to provide each and every participant with comfort and space. Air-conditioning guarantees constant, pleasant temperature throughout the lecture or discussions. And our location allows you to spend the conference breaks in in the heart of nature – by the Bełdany Lake or in the Pisz Forest.